It’s the most wonderful time of the year – at The Knolls! The holidays are here and so are The Knolls’ celebrations and festivities! For residents, families and staff, it truly is the most wonderful time of the year. The campus has been decorated throughout to honor both the Hanukkah and Christmas seasons. Garlands, wreaths, bows and menorahs abound, and a stunning holiday tree in the lobby bring the magic of the season alive! During the month of December, residents and staff enjoy a number of events. 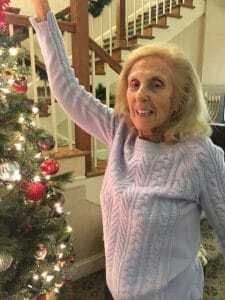 The festivities kicked off with tree trimming parties featuring holiday music, refreshments and eggnog, as residents helped decorate trees throughout the community. On the first night of Hanukkah, residents joined in observance of the holiday and were encouraged to bring their menorahs to light as a group. The celebration includes traditional songs and food, latkes and jelly donuts followed by dinner. Later in the month, the resident holiday party takes place. It is often referred to as a dinner by the bite. Elegant hors d’oeuvres are served in addition to wine, sangria, a chocolate fountain, pastries, and more. The event also includes live entertainment and dancing. New Year’s Eve will feature a festive party in the bistro. The recessed ceiling will be filled with balloons and residents will enjoy hors d’oeuvres and a champagne toast. 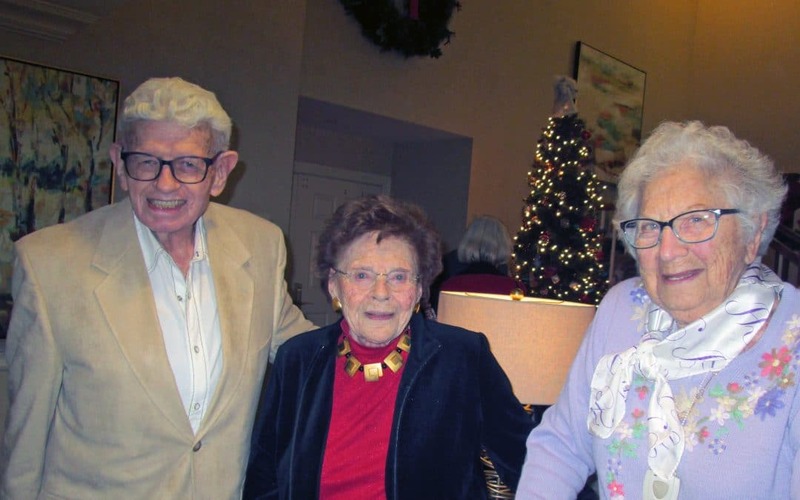 Earlier in the month, residents took a trip to Crabtree’s Kittle House in Chappaqua for a festive lunch. The restaurant and inn is traditionally a holiday hot spot because of its rich history, beautiful decorations and fine dining. On Christmas Day, a special lunch for residents and their families will be provided in the dining room, and on New Years Day, a delicious brunch will be served. Residents will have an opportunity to see the Valhalla High School Vocal and Jazz ensemble perform a concert featuring traditional holiday music and songs. The Hudson Bells, a women’s choral group which performs a cappella and with piano accompaniment, will also offer a holiday concert for residents. The busy holiday season at The Knolls is a wonderful time for family and friends to visit. It’s also a perfect time to take a trip to New York City to see all the iconic seasonal offerings there as well as those in charming Westchester County. 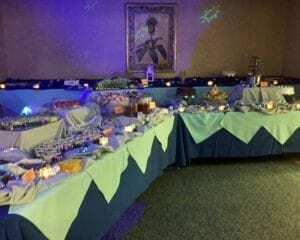 For more information about celebrating the holidays at The Knolls, please give us a call at 914-468-4728. We’d love for you to come see our beautifully decorated campus!